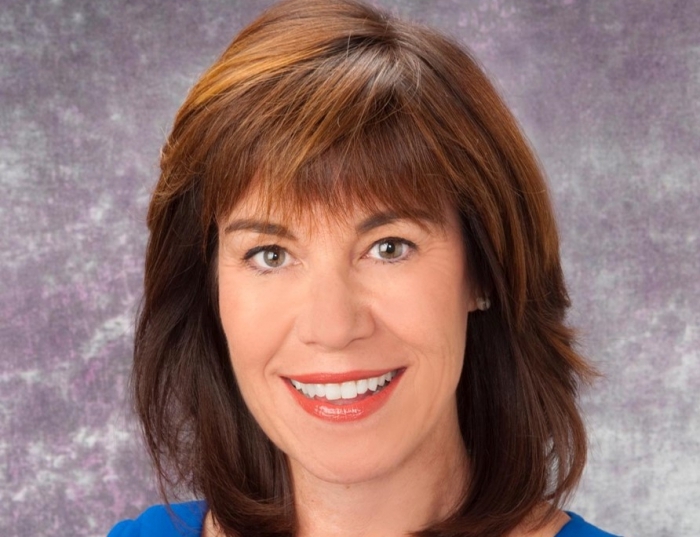 Jackie L. Gartner-Schmidt, Ph.D., CCC-SLP, ASHA Fellow is Co-Director of the University of Pittsburgh Voice Center, Professor of Otolaryngology and Director of Speech-Language Pathology-Voice Division at the University of Pittsburgh Medical Center. Dr. Gartner-Schmidt’s 25-year clinical and research focus specializes on care of the professional voice, as well as clinical effectiveness of voice therapy and psychological considerations in the assessment and management of patients with voice and breathing disorders. Dr. Gartner-Schmidt’s federally funded research as a co-investigator focuses on the development and efficacy of different voice therapy programs. She has published over 35 peer-reviewed papers and presented over 300 speeches nationally and internationally. Dr. Gartner-Schmidt is the director of the largest voice therapy conference in the nation occurring biennially. Awan SN, Gartner-Schmidt JL, Timmons LK, Gillespie, AI. Effects of a Variably Occluded Face Mask on the Aerodynamic and Acoustic Characteristics of Connected Speech in Patients With and Without Voice Disorders. J Voice 2018 Aug 3. pii: S0892-1997(17)30583-0. doi: 10.1016/j.jvoice.2018.03.002. [Epub ahead of print] PMID: 30082107. Lewandowski A, Gillespie AI, Jeong K, Kridgen S, Yu L, Gartner-Schmidt J. Adult normative data for phonatory aerodynamics in connected speech. Laryngoscope. 2018 Apr;128(4):909-914. doi: 10.1002/lary.26922. Epub 2017 Nov 2. PMID: 29094368. Gillespie AI, Gartner-Schmidt J. Voice-Specialized Speech-Language Pathologists' Criteria for Discharge from Voice Therapy. J Voice. 2018 May;32(3):332-339. doi: 10.1016/j.jvoice.2017.05.022. Epub 2017 Aug 7. PMID: 28797529. Dastolfo C, Thomas TL, Rosen CA, Gartner-Schmidt J. Singing Voice Outcomes Following Singing Voice Therapy. Laryngoscope. 2016 Nov;126(11):2546-2551. doi: 10.1002/lary.25962. PMID: 27345762. Gartner-Schmidt J, Gherson S, Hapner E, Roth D, Schneider S, Gillespie A. The Development of Conversation Training Therapy: A Concept Paper. Journal of Voice. 2016 Sep;30(5):563-73. doi: 10.1016/j.jvoice.2015.06.007. PMID: 26264642. Gillespie AI, Gartner-Schmidt J. Immediate Effect of Stimulability Assessment on Acoustic, Aerodynamic, and Patient-Perceptual Measure of Voice. Journal of Voice. 2016 Jul;30(4):507.e9-507.e14. doi: 10.1016/j.jvoice.2015.06.004. PMID: 26233382. Gartner-Schmidt J, Hirai R, Dastolfo C, Rosen CA, Gillespie AI. Phonatory Aerodynamics in Connected Speech. Laryngoscope. 2015 Dec;125(12):2764-71. Doi: 10.1002/lary.25458. Epub 2015 Jul 21. PMID: 26197727. Gartner-Schmidt J, Shembel AC, Zullo TG, Rosen CA. Development and Validation of the Dyspnea Index (DI): A Severity Index for Upper-Airway Related Dyspnea. Journal of Voice. 2014 Nov;28(6):775-82. DOI: 10.1016/j.jvoice.2013.12.017 [Epub 2014 Oct 12] PMID: 25311596. View Dr. Gartner-Schmidt's most current publications. Jackie L. Gartner-Schmidt, Ph.D., CCC-SLP, ASHA Fellow is Co-director of the University of Pittsburgh Voice Center, Director of Speech-Language Pathology-Voice Division, Director of the Comprehensive Professional Speaking Program, and Associate Professor of Otolaryngology. Dr. Gartner-Schmidt’s clinical and research efforts focus on the clinical effectiveness of speaking and singing voice therapy and psychological considerations in the assessment and management of patients with voice and breathing disorders. Her federally funded research focuses on the development and efficacy of different voice therapy programs, as well as co-authoring the development and validation of six treatment outcome instruments. She currently directs two of the country’s largest conferences related solely to voice and breathing therapy annually, in Las Vegas, and semi-annually, in Pittsburgh, amongst her frequent national and international speaking engagements. Dr. Gartner-Schmidt is a regular reviewer for many peer-reviewed journals. Prospective study on prevention and treatment of voice problems in teachers. Biophysiological mechanisms of “heightened speech” and its efficacy. Prospective, Randomized Study of Prevention of Voice Problems in Teachers.